As an Army veteran I know the value of teamwork and it is a value I try to instill in my kids. We are stronger together than we are on our own. 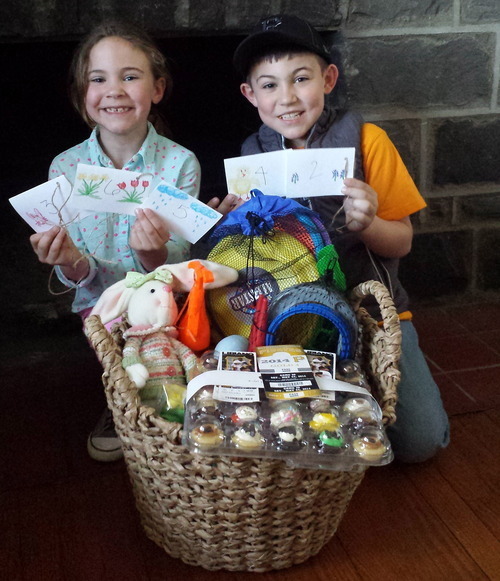 So when I saw Meredith’s segment on the Today Show last week, I knew the Easter scavenger hunt was exactly how I wanted Donovan and Camryn to find their basket full of Springtime fun. While traveling to Fredericksburg, VA, Daren and I took this opportunity to come up with some fun clues for their scavenger hunt. Clue #1 - Chop, chop, kiddos, you need to build a fire, in the direction of the sunset the next clue is what you desire. Answer- Our wood pile on the West side of our house. Clue #2 - People who don’t know us climb these steps, but when this was a schoolhouse they weren’t there yet. Answer- The front porch on our house. Clue #3 - Did you break it?! You probably did. Have no fear. Daren will fix it because he hangs out here. Answer- The workbench in the garage. Clue #4 - The best restaurant in all the land, hidden away in the Evergreen, you better check for snakes they really aren’t mean. Answer- Camryn’s secret hideout where she plays restaurant called Cami Café. Clue #5 - With a trunk like an elephant her arms reach toward the sky, she makes a lot of noise because it’s where the birds like to hide. Answer- “Big Momma” our huge Oak Tree in the backyard. Clue #6 - We’ve run you all over but now we are out of rhymes go get your surprise where the hands tell Time. Answer- The analog clock in the living room. Taking cardstock, I folded it in half, numbering them 1 - 6 I wrote the rhymes on the inside. 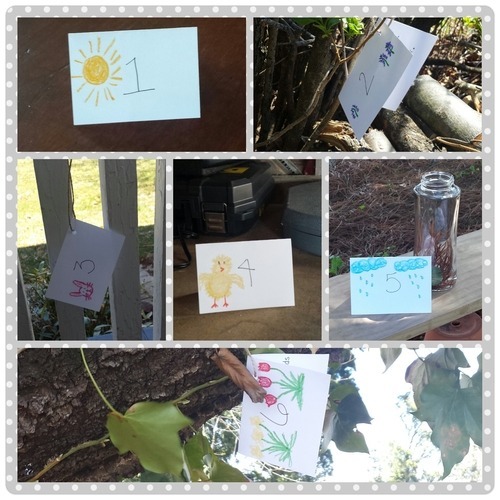 Decorating them with Spring related pictures I set out to set up the first annual Easter Scavenger Hunt. When it was ready and everything in it is place, the hunt began. Taking turns pulling down each card and running from one end of our yard to the other, the kids quickly solved the puzzles. And when they were directed back into the house for the final surprise there the basket sat in all its glory. I filled the basket with outdoor games and activities: sidewalk chalk, horseshoes, Frisbee, water balloons, and other fun games. With the added thrill of hunting down the basket the kids were so excited. We all know how valuable teamwork is today. Whether it is a school science project or vast software implementation, by incorporating a little fun and play as kids, they get to learn it while developing positive memories. And I had an absolute blast running behind them from place to place snapping their picture and watching those little light bulbs come on when they figured out the next clue. 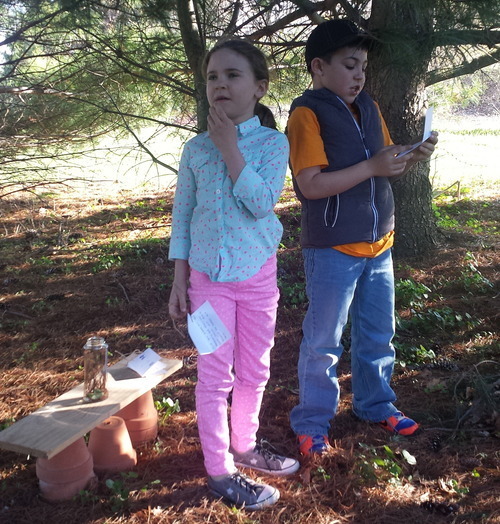 I may be the one in our house most excited to plan next year’s Easter Scavenger Hunt. But I think we need tougher clues next year. These two are getting smarter.